A picturesque coastal city, Essaouira has been a mecca for surfers, windsurfers and backpackers for decades. But, infrastructure developments have made Essaouira increasingly more accessible both on the road and by plane and the city is welcoming all kinds of guests today. Whether you’re looking to enjoy some days in the sun with your little ones, explore the city’s ancient history or simply experience real Morocco, visiting Essaouira with kids is the place to be. 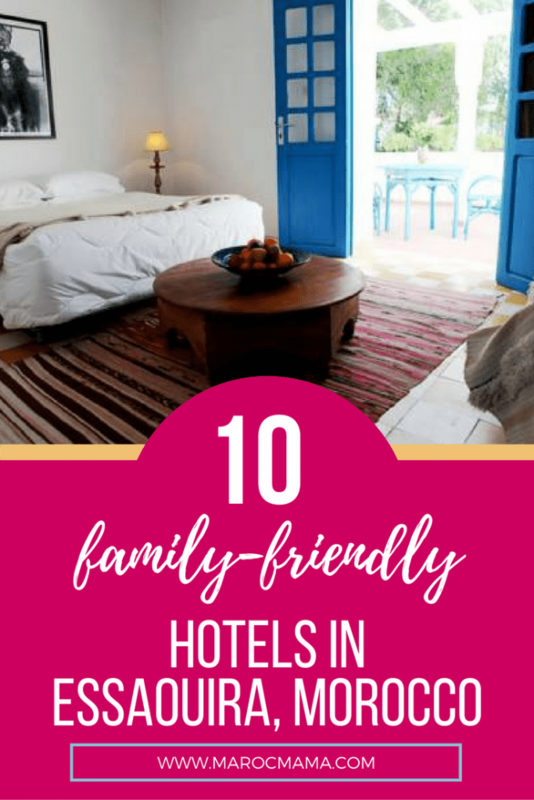 So when you’re looking for places to stay in Essaouira with your family, look no further. These choices make it even easier for you to make the most of your time here. 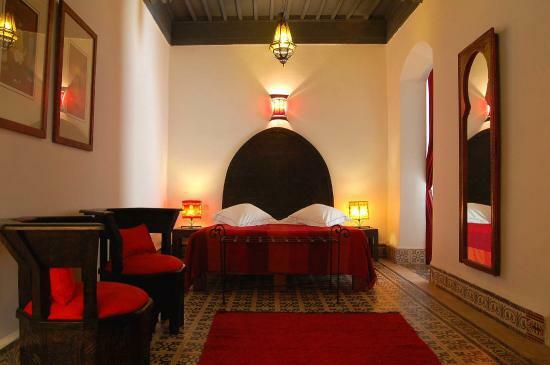 Located in the heart of the city, Riad Watier is the perfect place to stay for families who like to travel slow and want to stay in an Essaouira riad. Newly redecorated by Moroccan artists and craftsmen, the riad is well equipped with large family suites that include private lounge areas and mezzanines. Every morning, you can look forward to a delicious Moroccan breakfast on the terrace featuring a sweeping view of the medina. 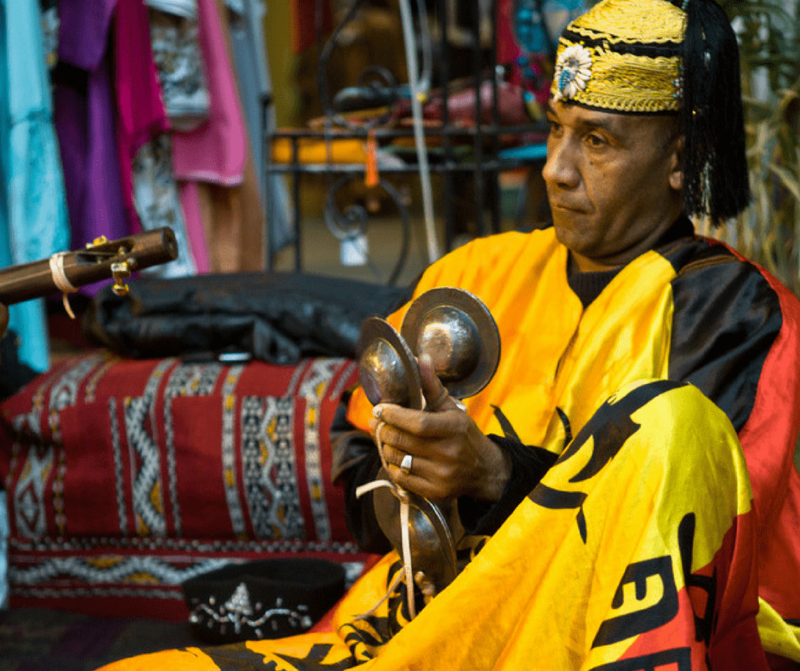 During the day, your host will give you all the insider tips you need so you can make the most of your time in Essaouira. If you’re visiting to discover Essaouira beaches with your little ones, there is no better place to stay than at Residence Louzani. 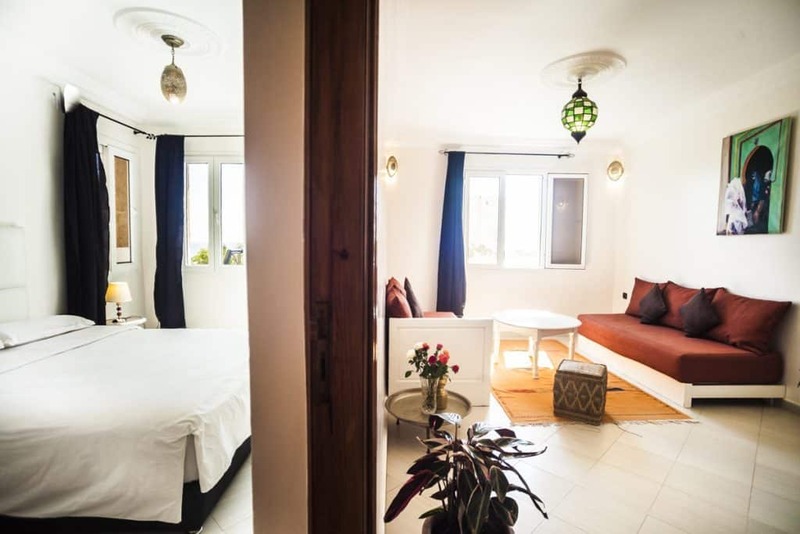 Located just 50m from the sandy coastline, Residence Louzani offers 7 modern apartments fully equipped with a kitchenette, flat-screen TV and free Wi-Fi. When you get tired of enjoying beautiful ocean views from your private balcony (is that even possible? ), you can always head to the medina which is a short walk away. The sunny self-catering apartments at Residence La Galiote are another great option for families looking to enjoy Essaouira’s sandy coastline. The 70m2 apartments sleep 4 and come fully equipped with all the modern comforts you’ll need for a relaxing holiday. Daily cleaning services, free laundry and public parking nearby are just some of the things that make Residence La Galiote perfect for families traveling through Morocco. 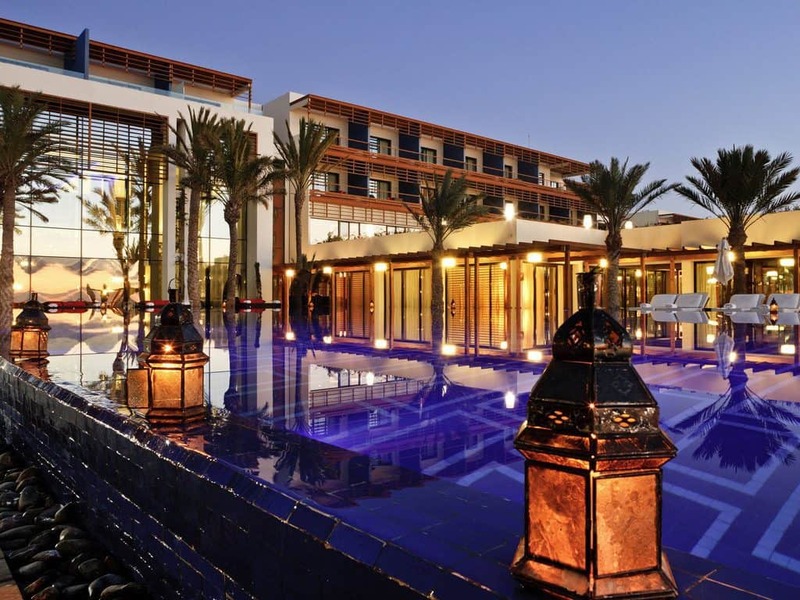 Located outside of the medina on a quiet, green parcel of land the Sofitel is one of the most modern and one of the only luxury hotels in Essaouira. They offer rooms of all sizes and include a large breakfast buffet daily. Guests can enjoy the in ground pool or book multiple excursions that depart from the hotel. Onsite dining and spa services are also available. 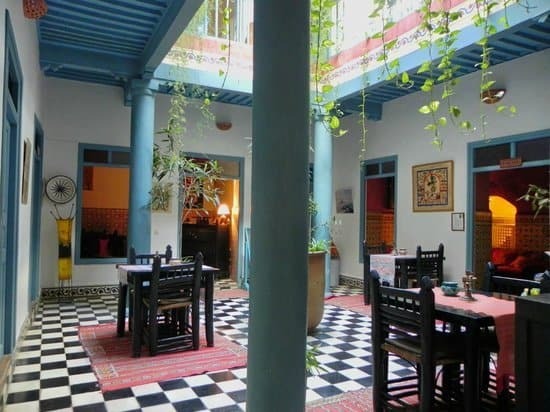 Riad Jade Mogador is a cosy bed and breakfast perfect for foodies. 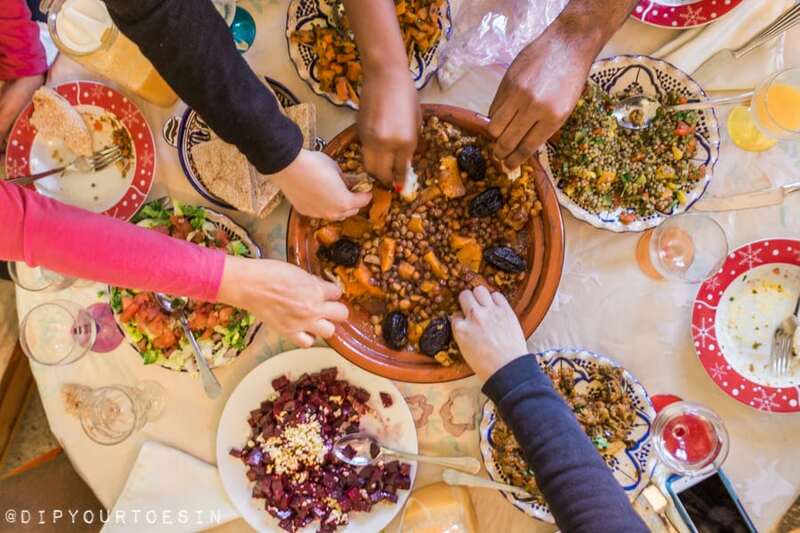 Families can enjoy a traditional Moroccan meal at the riad’s onsite restaurant or explore the surrounding area for typical cafés and restaurants. 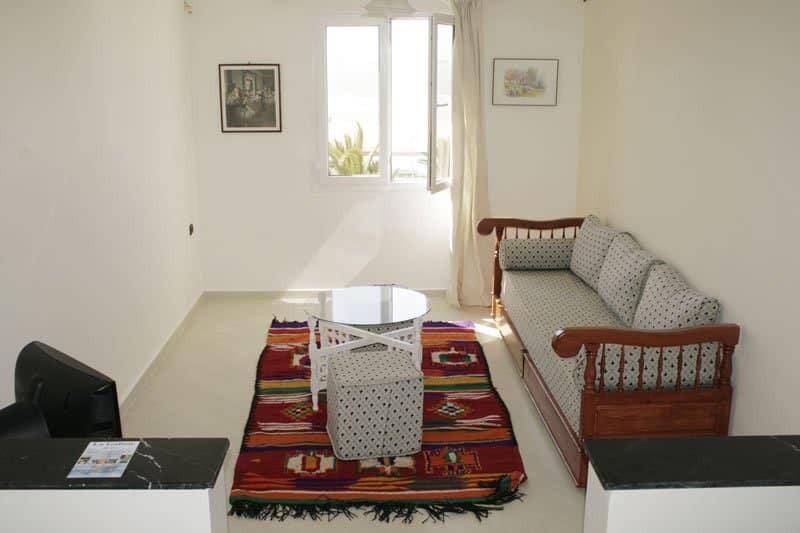 Its ideal location will also leave you near Place Moulay el Hassan and Skala du Port. When you’re finished exploring, relax at the riad’s Turkish steam bath or enjoy a cup of tea on the terrace. 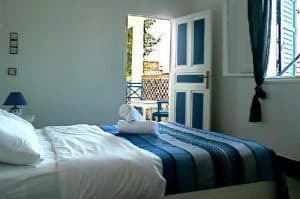 Located near the ancient walls of the medina, Hotel Les Matins Bleus is one of Essaouira’s most picturesque bed and breakfasts. 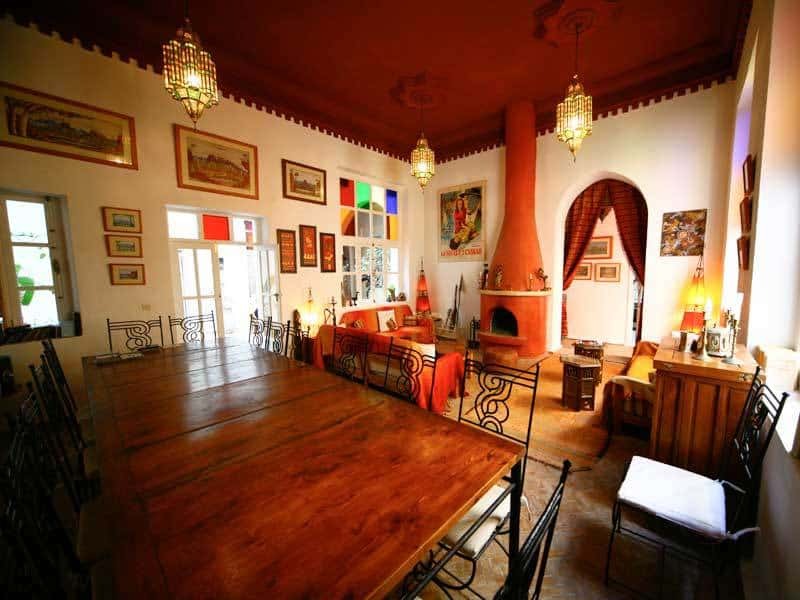 It offers a charming interior patio, a tasty Moroccan restaurant and individually decorated rooms and suites. Children under 11 can sleep in their parents’ room for a reduced rate and baby cribs are available. During the day, you can explore the busy medina or make some fun family memories during the free cooking classes offered by the hotel. 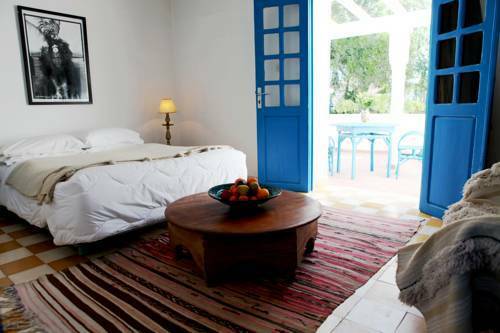 For the environmentally conscious, Villa Garance is the best place to stay in Essaouira. Home-made bread is served at breakfast, and dinner (which can be prepared upon request) is cooked with fresh organic products from the local market. The ensuite bathrooms have organic toiletries and the massages feature pure Argon oil. If you want to explore outside of Essaouira, your hosts Marie and Pierre will gladly help you arrange fun family excursions. Set on the edge of the Essaouira medina, Vent des Dunes is a charming holiday home perfect for families looking to experience a slice of real Morocco. It offers spacious rooms that easily fit one of their (free) convertible cribs or an extra bed. And children under 2 stay for free in their parents’ room. Bigger families can rent the terrace apartment which comes with a fully equipped kitchen. The hotel is also pet-friendly, so feel free to bring along your furry friends! Looking for a family-friendly hotel that also is affordable? This is it! If you want to be close to the ocean but when you stay here it’s also one of the few Essaouira hotels with a pool. 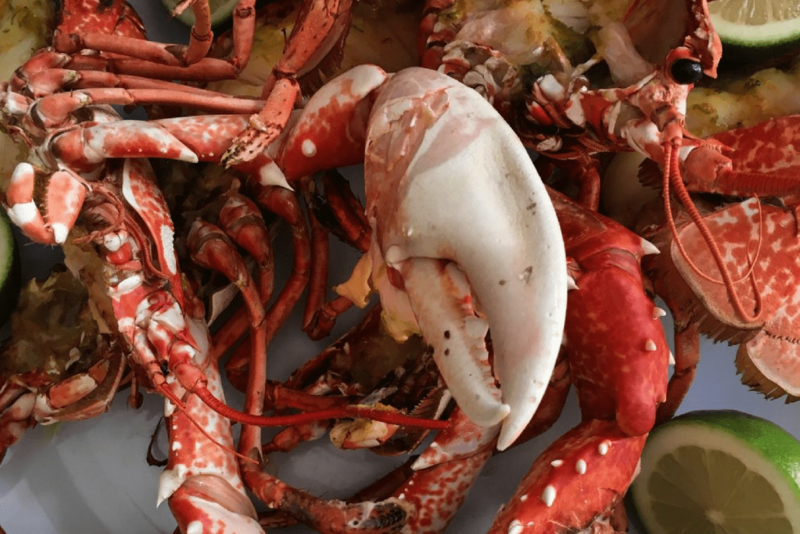 There’s an on-site restaurant but you’ll also be just a short walk from the medina. Located just 4km from the medina, you’re close enough to enjoy the city while still in the natural surrounds. 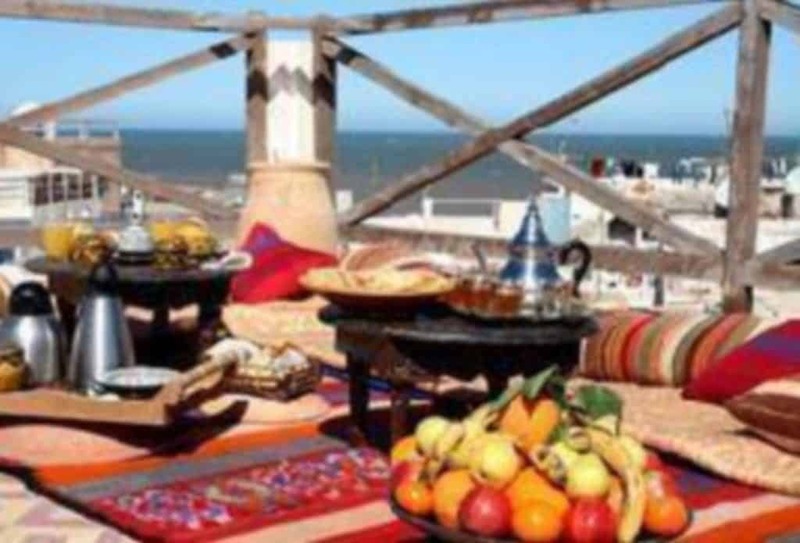 A traditional Moroccan breakfast is served every morning and guests can also ask to sample some Moroccan cuisine for lunch or dinner. While there’s no beach access there is a lovely swimming pool and getting to the beach is only a 30 dirham ride. The hotel is small, just 19 rooms, each decorated in modern and traditional styles, this assures personalized attention. With an on-site spa and hammam you can relax fully while the kids play in the pool! 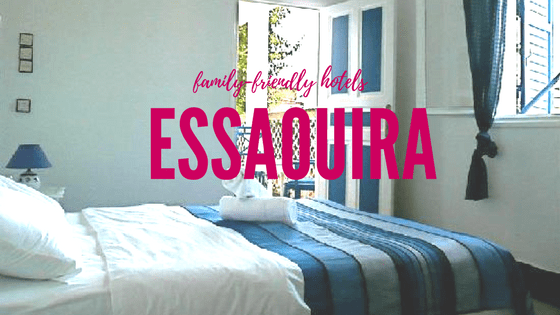 Wherever you end up staying, Essaouira is sure to be one of the best places to enjoy some good family quality time. Spend your days wandering by the sea, exploring the narrow alleyways of the medina or venturing off into the surrounding villages. I’m sure you’ll return home with incredible family memories that will last a lifetime.